My brother gave me this yellow canna lily plant a while back and as you can see the colors are very vibrant. A very nice lily to photograph. The canna seems to like a lot of water so it flowers mostly in the summer during the rainy season. The lily has various colors also including red and orange. During the winter months when there is no rain the plant may die back but it’s not dead. 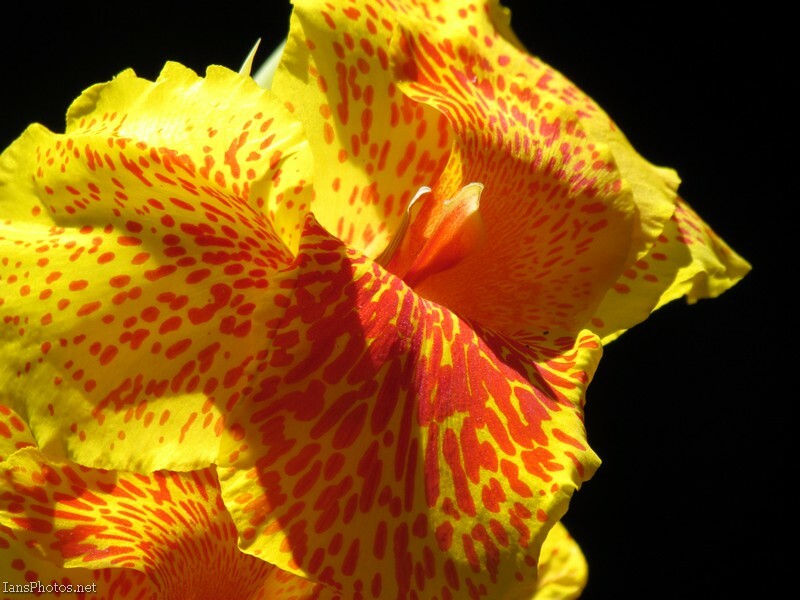 When the weather warms and the rains begin the canna lily will grow again and produce several colorful flowers. It also produces seed pods but I’m not sure how easy they are to germinate. Thank you for stopping by and viewing my photography.